umm let's see, first of all i don't realy like FULLMETAL ALCHEMIST in the first place but the whole stoy what i like it is the bond between the two brother. really touch you. i had to focus on victoring the charatec, oowwwaa i'm so sleepy now. i think i need to jupm on bed now. Browse Mario Kaneda Gallery: Recent | Popular. thx a lot for thi one and keep up!..ok?.. Beautiful, Beautiful, Beautiful Works! Thanks, Thanks! 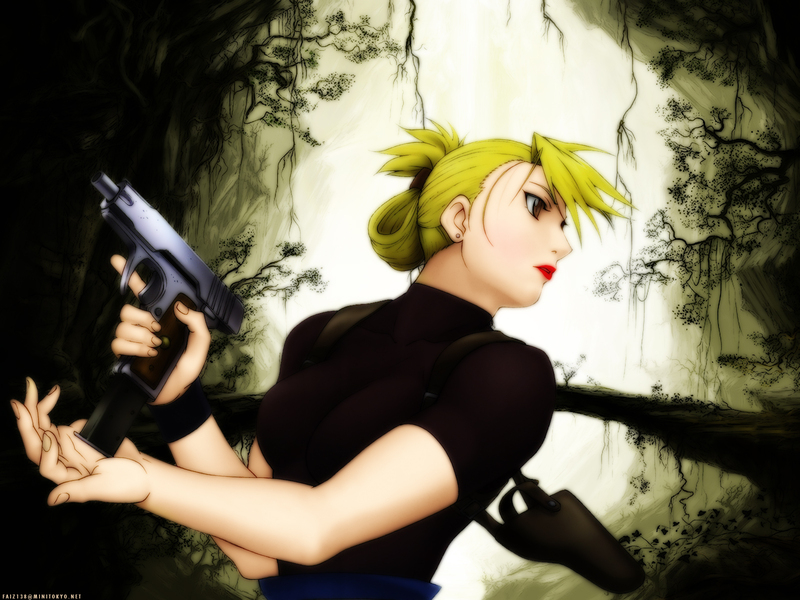 love riza, beautiful pic of her.